Lock in a great price for Jam Hostel Barcelona – rated 9.2 by recent guests! The hostel is very stylish, the rooms are clean, good bathrooms, kitchen and common area. 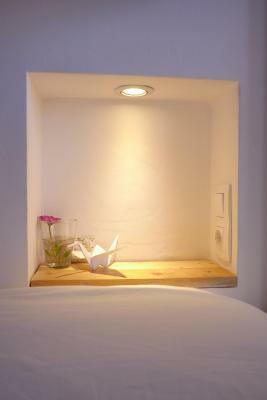 It´s a calm location in Gracia neighborhood, near restaurants, markets and the metro. The staff were super. The roof was fantastic. Everything was clean. The staff is very very friendly and helping, they totally created a warm atmosphere during my stay. The facilities are perfect, especially kitchen is fully-developed and it has enough space for everyone. The location in my opinion is very good because its calm, area is very pretty and it's easy to get to any public transport if you need to. It was very clean and in a quiet neighborhood. 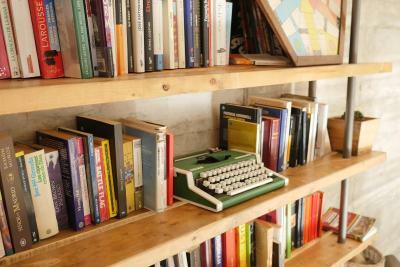 If I were ever back in Barcelona, my first stay would be with Jam Hostel! Great staff, nice common areas including a great terrace. Free coffee, tea, and filtered tap water. Bathroom and shower space was nice and clean. Frienldy staff, cleanliness and chill atmosphere. We enjoyed staying there and extended our stay for one more day. The staff was so helpful and, they know what they are doing. We saw that they are good at recycling and, they encouraged everybody to do that. The hostel was clean and neat. They have a huge kitchen and, two people can cook and prepare a meal at the same time. We enjoyed mostly their family dinner. I think once a week, they are making some food for a little money, and you sit with the guests who stayed at the hostel. The nearest metro station is Joanic, located 1,500 feet away. Plaza Catalunya Square is 17 minutes by metro. 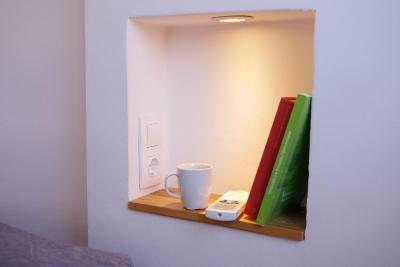 When would you like to stay at Jam Hostel Barcelona? This air-conditioned room has individual bed lights and plugs for each bed. Bed linen are included, while towels can be rented on site. This air-conditioned dormitory has personal lockers, individual bed lights and plugs for each bed. This air-conditioned room has personal lockers, individual bed lights and plugs for each bed. This air-conditioned dormitory has personal lockers, individual bed lights and plugs for each bed. The shared bathrooms have a bath or a shower and a hairdryer, and are adapted for guests with reduced mobility. This double room features air conditioning and terrace views. Please note, this room has capacity for 2 extra beds at an extra cost. Before hostel renovation the space function was the leather warehouse. 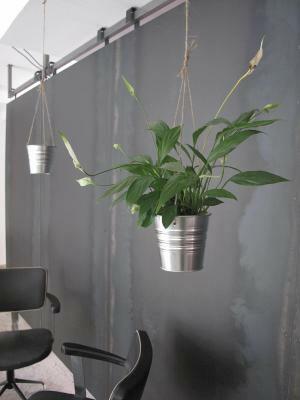 Due to its original purpose the hostel interior design tends to industrial look with sense of minimal. 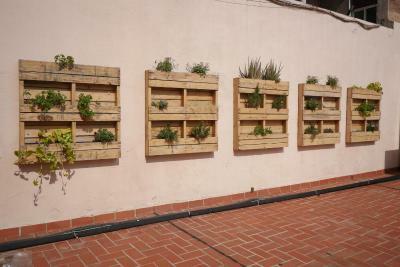 Moreover, the aim was to create social hostel by using fair trade and recycling products with renewable energy solutions. 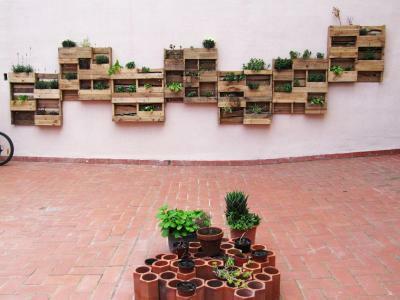 Some of the construction material was collected from recycling green points around the city. The main elements of the space are iron and concrete wall that create a nice atmosphere and moreover, separate common areas from the private rooms. The fence of new concrete staircase is done from iron reinforcement sticks. Reception table is hand made from wood pallets and all other tables are done from wood that originally served for shaping concrete plates. Additionally, most of the furniture and lights in the common areas are second hand. In 480 square meters 47 beds are placed. The rooms are spacious and they include all necessary elements. All of them are orientated to the chill out terrace that gives the additional value to the additional value to the space. 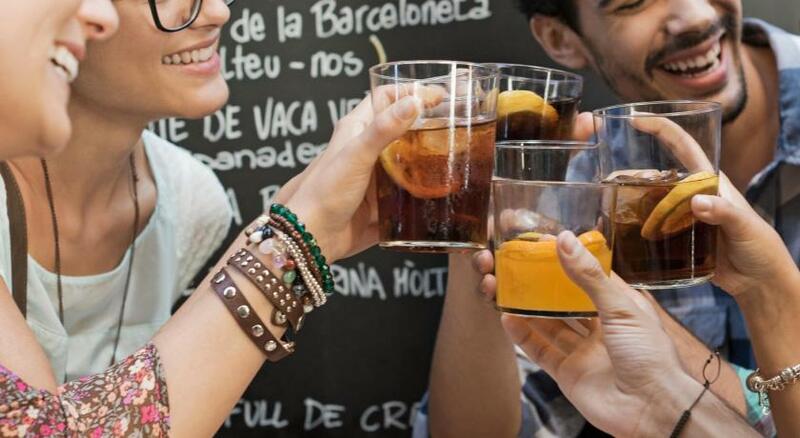 House Rules Jam Hostel Barcelona takes special requests – add in the next step! Jam Hostel Barcelona accepts these cards and reserves the right to temporarily hold an amount prior to arrival. Please note that keys for personal lockers have a deposit of EUR 5 per key and will be refunded upon check-out. Please note that for group reservations of 9 people or more, different policies and conditions may apply. Please inform Jam Hostel Barcelona of your expected arrival time in advance. You can use the Special Requests box when booking, or contact the property directly using the contact details in your confirmation. it's the second time l live here, first in 2015, I like here very much. Very clean and staff are nice, kitchen is quite good, you could keep your food in the fridge or in the storage rack with marks. Big balcony with plants, free coffee and tea, very quiet community but close to the subway and supermarket, bars, restaurant. Good place to stay in Barcelona. This is one of the best experiences I had in a hostel! Jam hostel is really a great place to stay. Very close to 2 metro lines that can take you to anywhere in Barcelona. There is a big public space with kitchen and books, really nice! plus the staff are awesome! The rooms are always clean! Highly recommend this hostel!! Clean friendly hostel with relaxed vibe. Easy to find in a good neighborhood. Lots of locals and students about but easy walk to the tourist attractions, if that’s what you’re after. Very pedestrian streets in this neighborhood and rooms face into private courtyard so also very quiet. Oh, and very comfy pillow. Clean and stylish place but practical and simple. Comfortable beds. 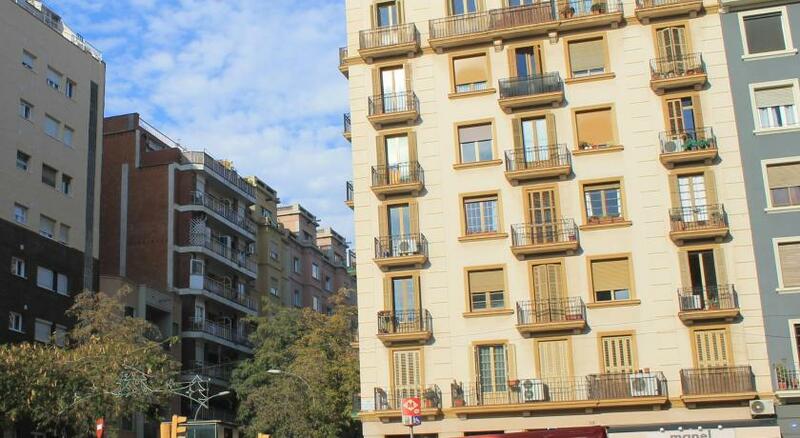 Perfect location in Gracia district and between two Metro stations for getting around Barcelona. Free coffee and tea and nice open plan kitchen to make food and meet people. Spacious toilet/shower rooms and great outdoor area with lovely potted plants ... nice place to contemplate the day ahead with a coffee. The staff are also very friendly who run the place ... always doing anything they can to help or recommend things. Value for money. Would appreciate if they provided breakfast. The bed used to make huge noise when you move or sit on it that disturbed the other roommates. The room was a bit uncomfortable, due to noise of other guests, a bit-too-hard bed and sunlight despite closing the curtains. I think the only thing that let them down is the reception staff were not as friendly as they were at other hostels I have stayed in where to staff exceeded my expectations. One staff member in particular seemed a bit off or maybe he was shy but he was reluactant to engage in any conversation with guests. I loved the location and the eco friendly motivation they have. I love that they offer yoga and the facilities were awesome. I've stayed in a lot of hostels all over the world and this is up there with the best. The outside courtyard is a bonus too. Lots of space to move. Honestly, there is not one bad word I have to mention about this hostel. What I would say, if the hostel could have soya milk and no leather sofas :( I would say a huge number of people staying are veggie or vegan! This was my first solo trip and I HIGHLIGHLY recommend this hostel. Its in the most safest gorgeous neighborhood with restaurants, pubs, markets and every type of shop you can think of - just around the corner every corner. The hostel is 30 mins taxi drink from the airport which is approx 35-40 EUR or you can get 2 buses which will take 50 mins. As a vegan this is the most eco friendly area in barcelona with ecological shops EVERYWHERE - there are about 30 places to eat within a 5-10 min radius. The hostel itself is a small boutique-ish hostel which is honestly SO CLEAN and beautiful. A lot of the furniture is recycled and you can they really do care about the environment (expect some leather sofas and having cows milk instead of soya. What i loved the most was the staff being so kind and friendly, the huge terrace and home-like feel to the entire place. 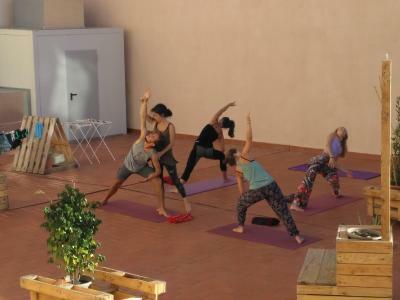 The hostel offers (at additional costs) morning yoga on the terrace which you need to sign up a day or 2 before and a hike into the mountains with yoga! I did both and both were incredible. The hostel is two floors with a lovely spacious kitchen and chill area with free books and tea and coffee - a great layout for everyone. One of my highlights was the hostels 'Dinner Night' where we all paid 5 eur for a beautiful dinner for everyone who wanted to join - salad burritos, hummus and couscous, beers and lemonade - all food was made by the staff which was so thoughtful. Many of the people staying were all solo travelers which meant that everyone interacted :) One thing I would mention to all travelers - pick pocketing is a HUGE issue especially in Barcelona - invest in good anti theft bag and buy additional locks/padlocks for your bags - try and buy even a great bumbag instead of a small backpack when in the city and only take some of your money which you intend to spend that day leaving the rest and credit cards/passports at the hostel. Host was great, gave all the information possible to make me satisfied. He knew things about the area and places that I didn't expect. I have stayed there on Thursday, that day there was a "family dinner" event and it was the best thing possible for a lonely traveler. We had dinner together with other visitors and had a lot of fun. I didn't know there was a bathroom inside my room, and I was looking to a hostel exactly without that, because in the morning it is kind of annoying to hear people using the bathroom. The staff was great, gave me great tips about the city, mains activities to do, how to save some money, etc. The size of the rooms were nice, even staying in a 9 person room, I did not felt that it was crowded. The bathrooms looked clean, not amazing, but good enough.